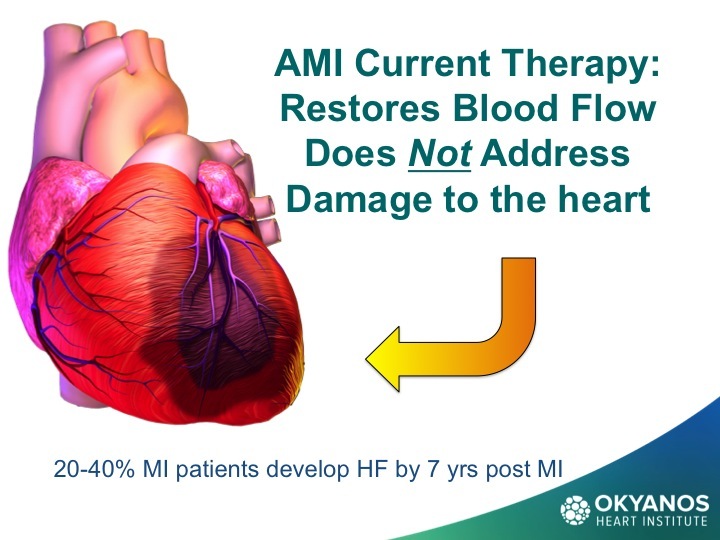 Heart failure is becoming the most rapidly growing type of Cardiovascular (CV) disease. 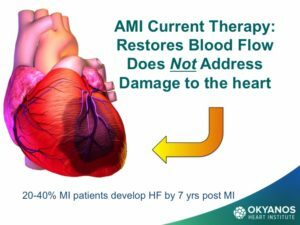 Like most forms of CV disease, the prevalence of heart failure increases rapidly with advancing age in patients who are over 50 years, with nearly 6-8% of all people in the United States afflicted by age 65 years, and over 12-15% by age 75. 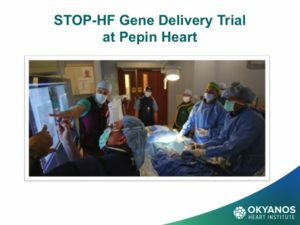 Heart failure is also the diagnosis that accounts for the greatest number of days spent in the hospital for heart failure care, and the highest number of readmissions. 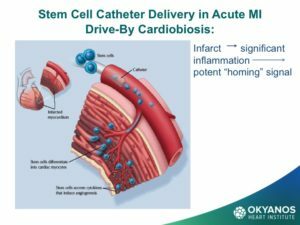 There is a clear need to identify and develop new cost effective therapies for this growing population of cardiac patients. 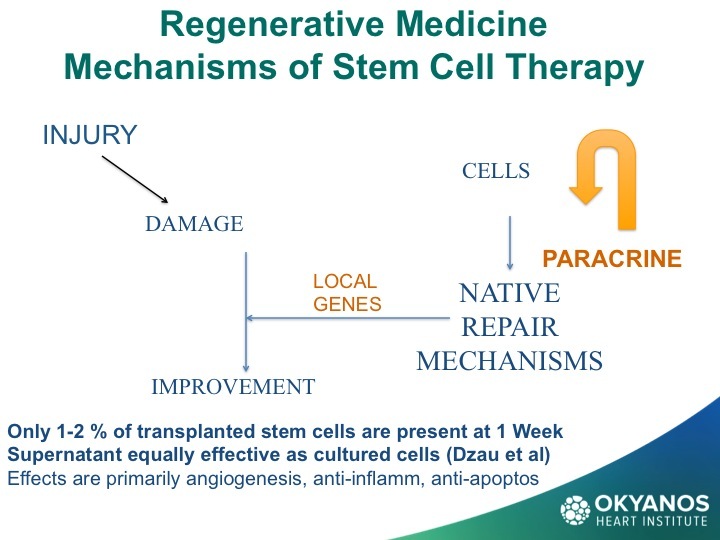 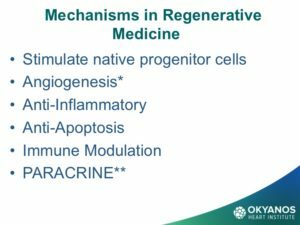 One of the most promising new therapies is the use of stem cells and gene therapy in what is referred to as regenerative medicine (RM). 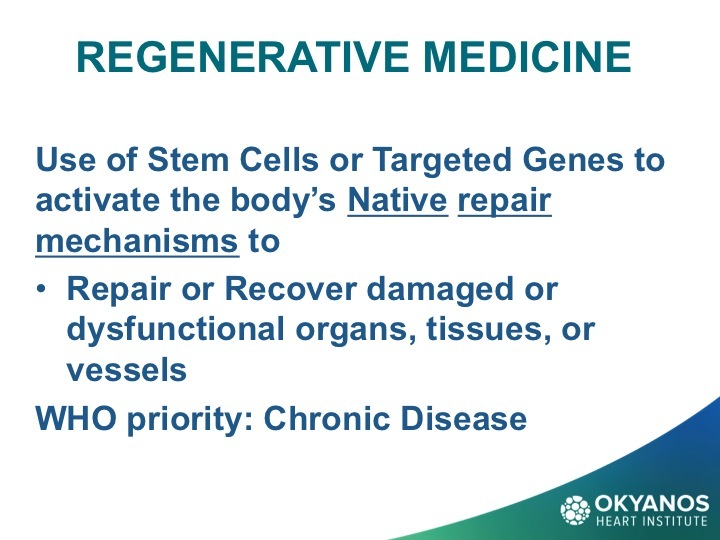 The goal of RM is to repair or replace damaged or dysfunctional organs, tissues or blood vessels. 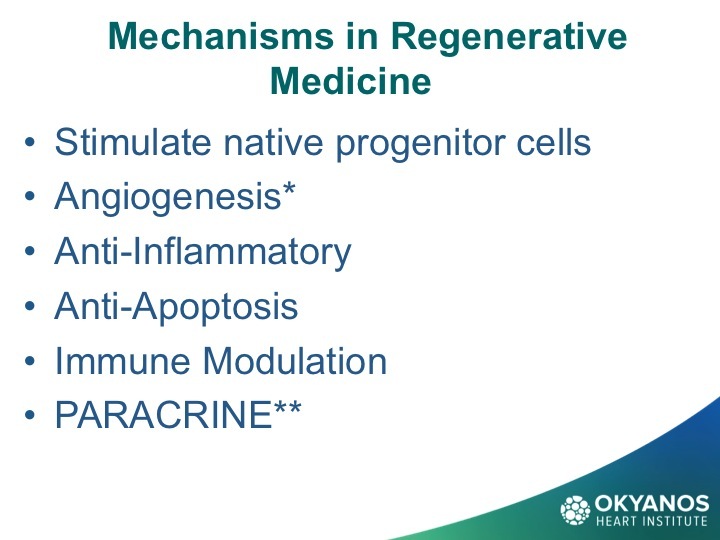 These agents work by turning on the body’s native repair mechanisms. 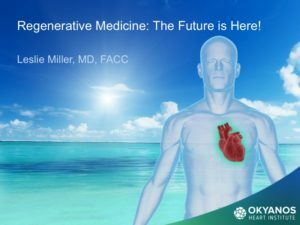 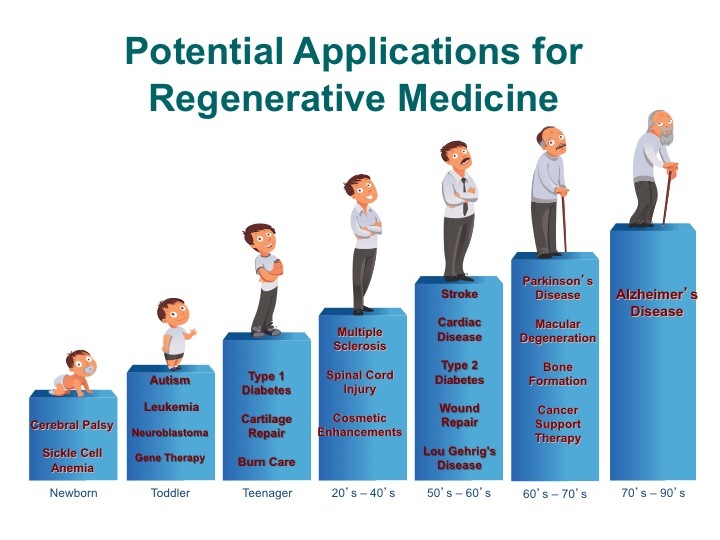 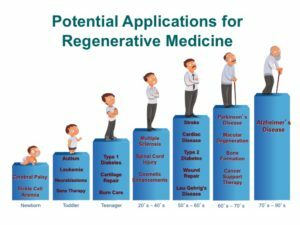 The field of regenerative medicine has made enormous progress in the past few years with the discovery of new cell sources and delivery routes for cells. 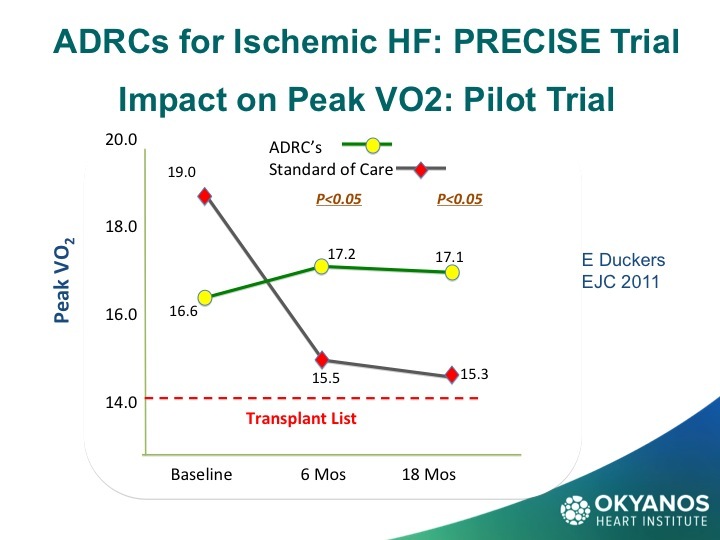 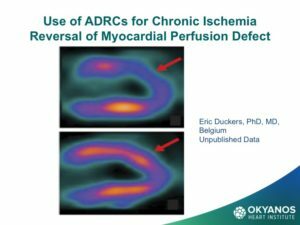 In addition, lessons learned are being applied to new indications beyond the initial chronic limb ischemia and acute myocardial infarction (MI), specifically for heart failure. 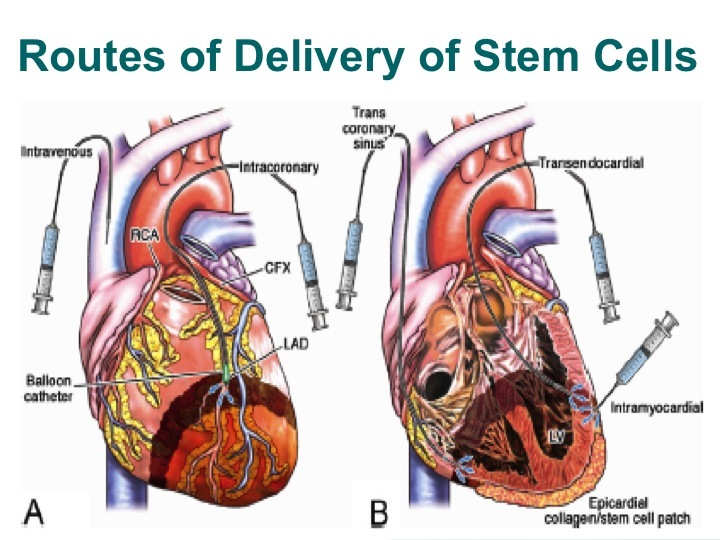 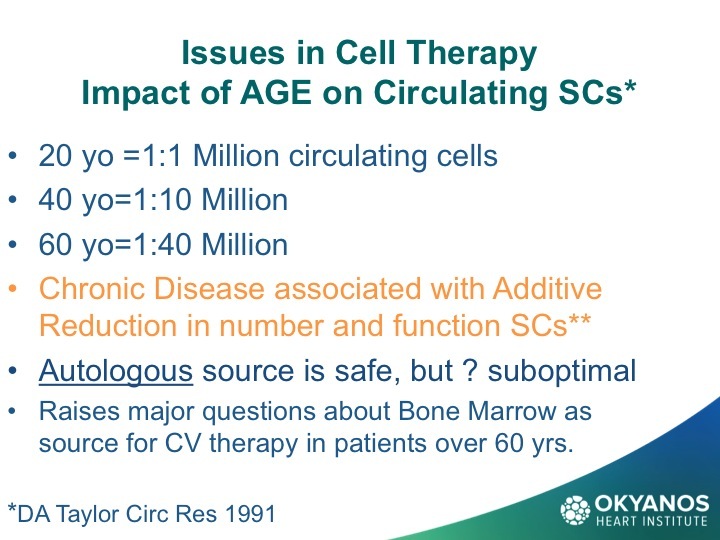 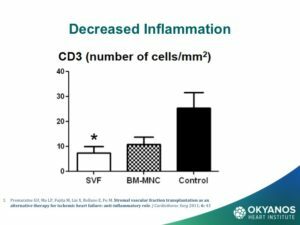 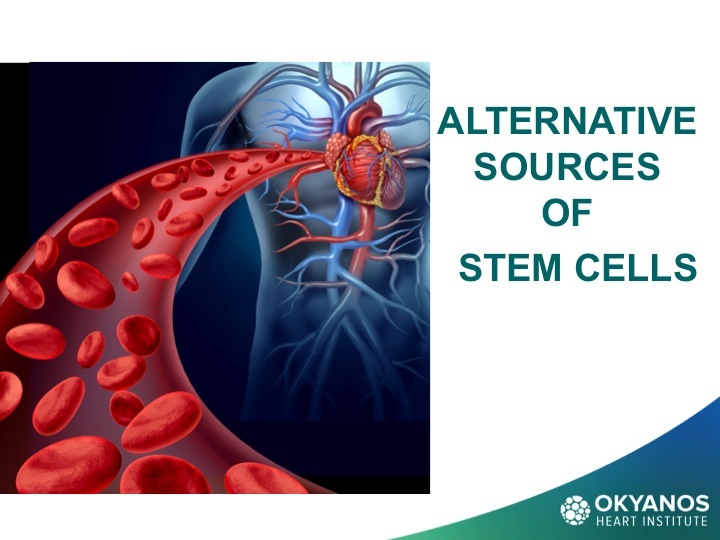 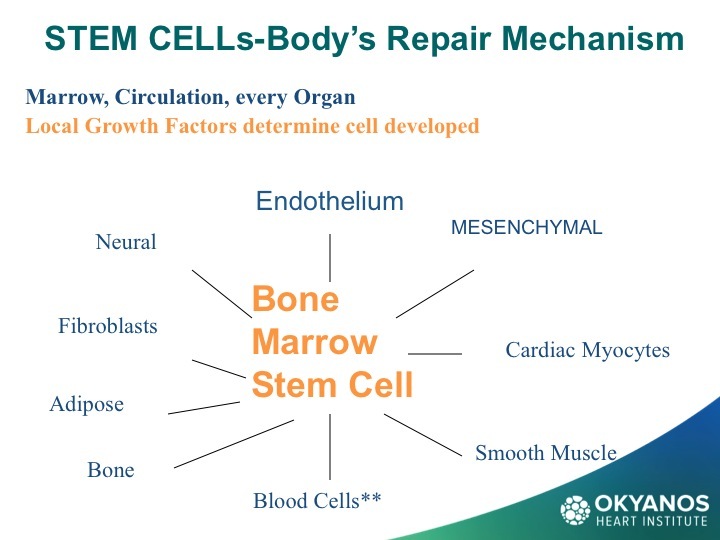 The primary source of stem cells for stem cell therapy for both hematologic (blood) malignancies as well as treatment of many forms of CV disease has been almost exclusively the patient’s own bone marrow. A patient’s own cells are referred to as “autologous” and have the major benefit of never causing rejection when given back to a patient. 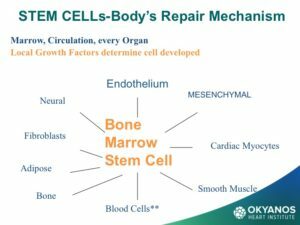 Bone marrow was thought for a long time to be the only source of stem cells, including the primordial stem cells, that are capable of differentiating into all nine cell types in the body. 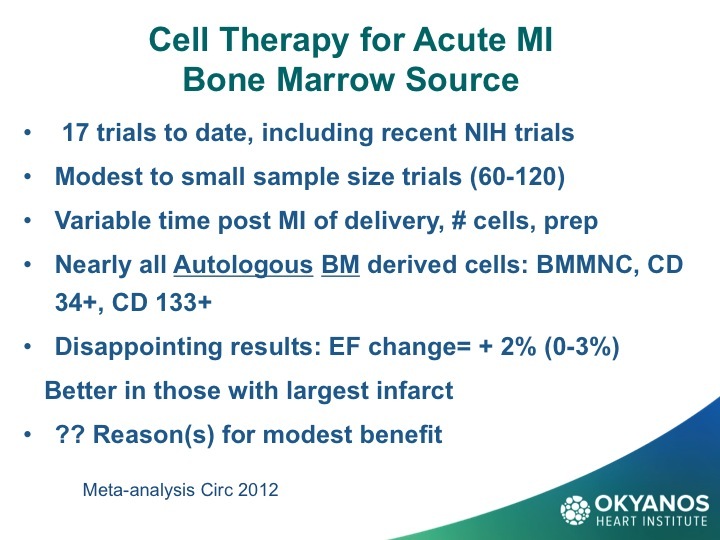 However, review of the results of ten years of clinical trials using autologous bone marrow has not been as effective as anticipated. 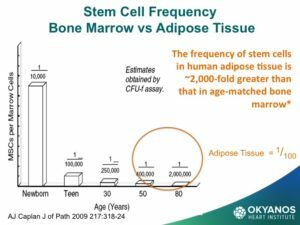 There is animal data that correlated with data from when 60-year-old humans were used for stem cell therapy, showing a marked reduction in benefit. 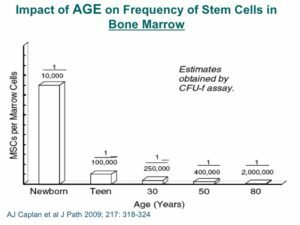 It has now also been shown that there is a rapid and dramatic fall off in the number of stem cells in the bone marrow as well as the circulation, and that the function of the cells when tested in the lab declines with each decade of life. 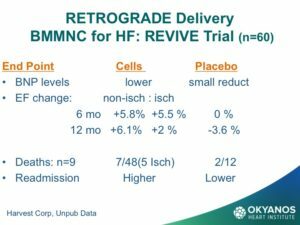 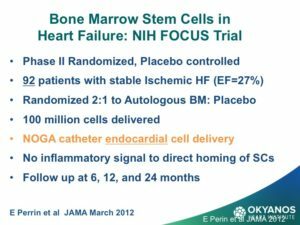 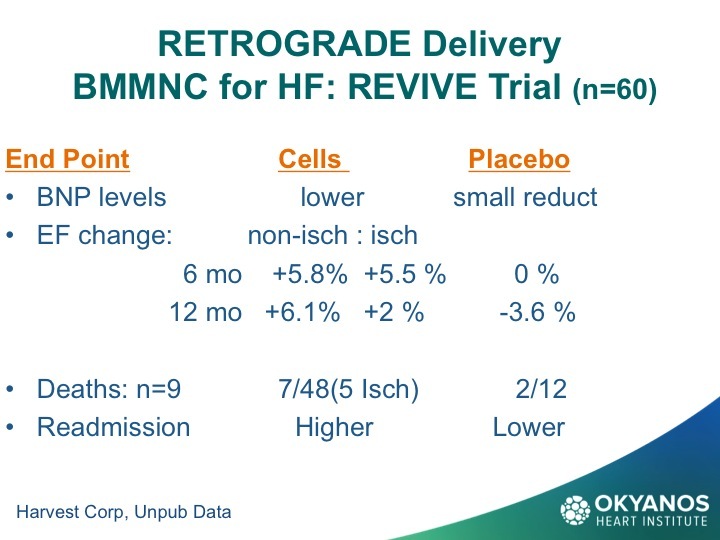 Recently, a very important trial was conducted by the National Institute of Health (NIH) using bone marrow mononuclear cells in patients with significant heart failure due to previous MI. 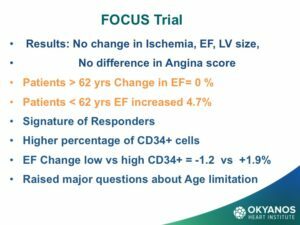 The results were neutral for all end points. The most important finding was that when patients older than 62 years were compared to those under 62 years, the older patients had no change at all in ejection fraction compared to baseline, while the younger patients averaged 5% improvement. 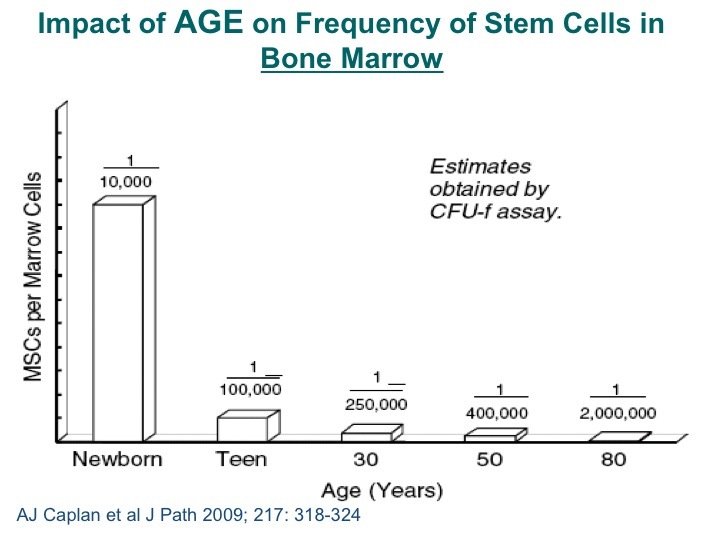 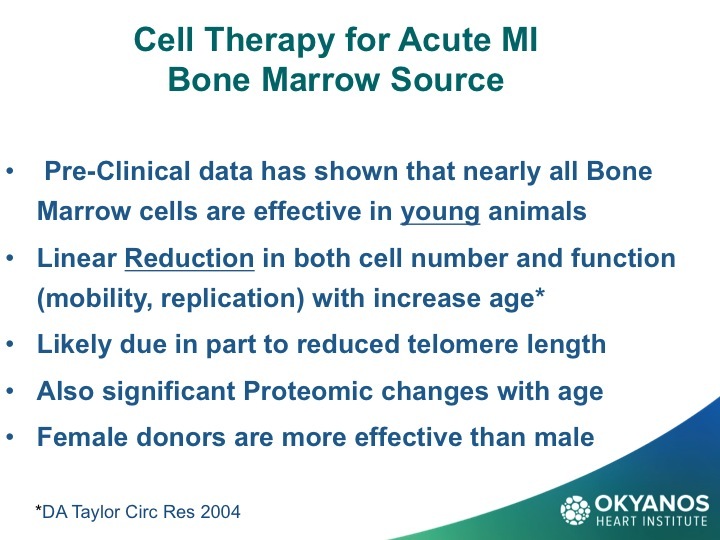 Although safe, this trial raised serious concerns about use of bone marrow as a source of stem cells in older patients. 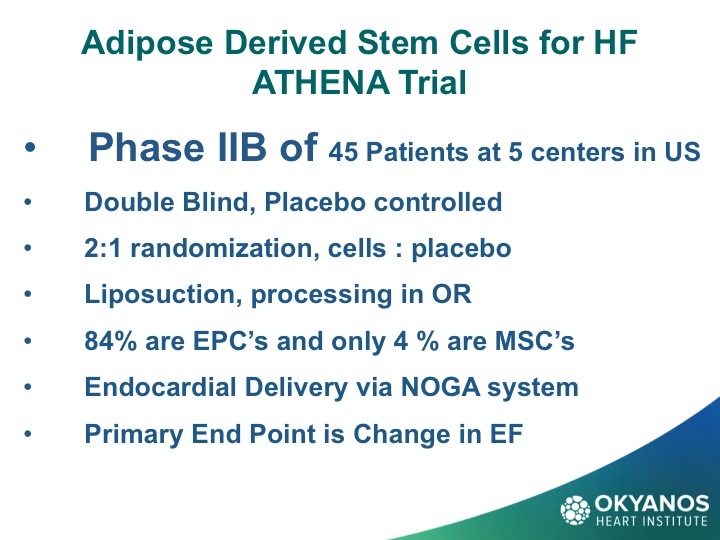 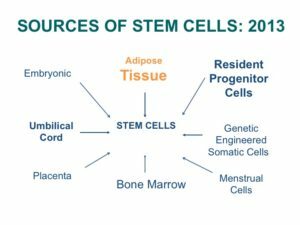 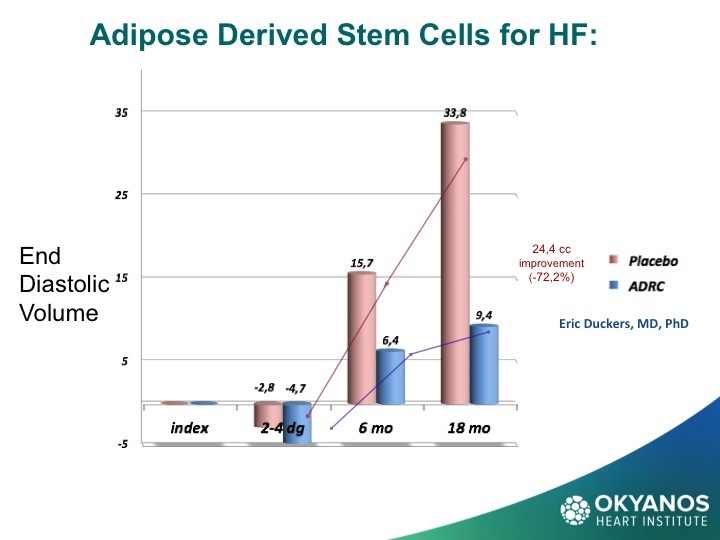 One of the most surprising, and now exciting new sources of stem cells, is the abdominal fat or adipose tissue. 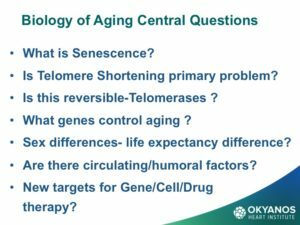 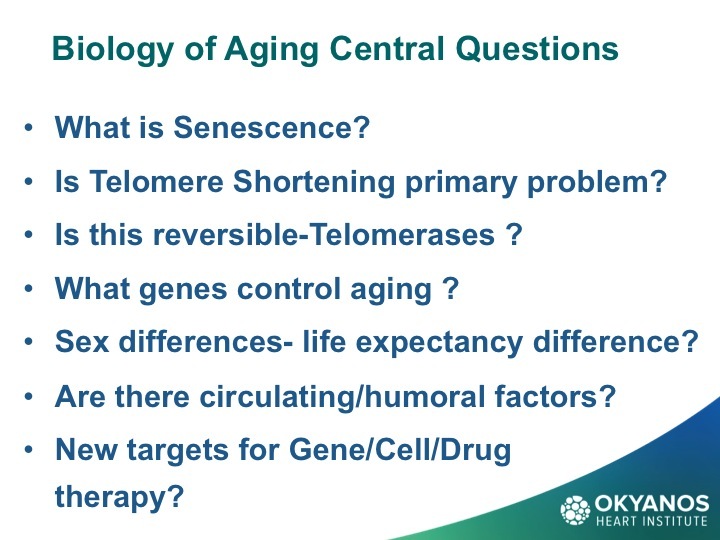 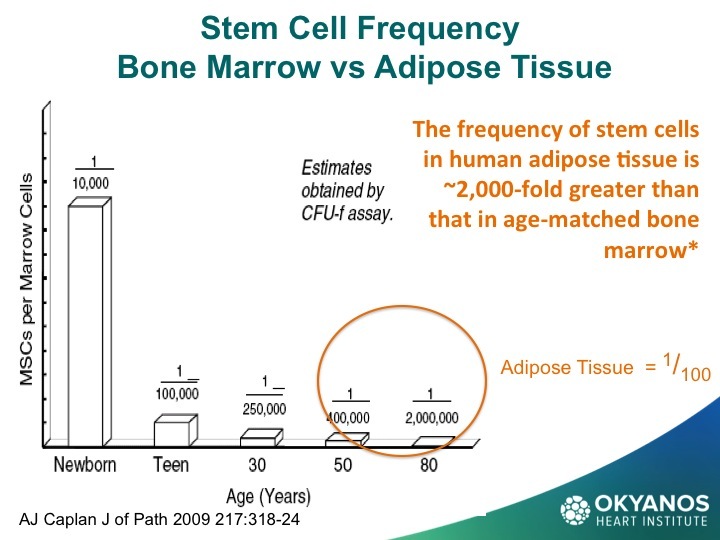 Studies have shown that, in contrast to the steady decline in the number of cells each decade in the bone marrow, there may be as many as 2,000 times more stem cells in adipose tissue and no decline with advancing age. 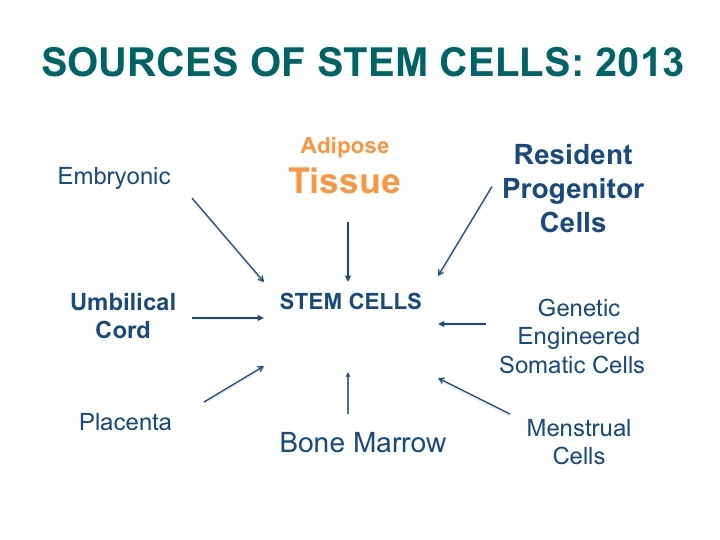 These cells are termed Adipose Derived Regenerative Cells (ADRCs). 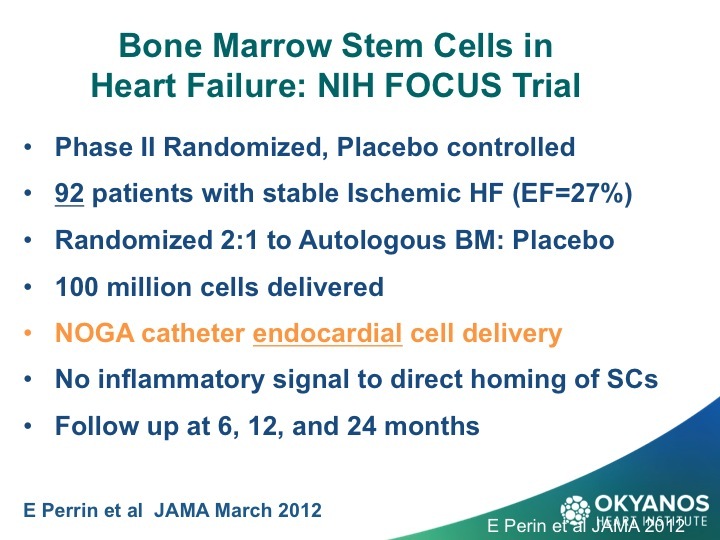 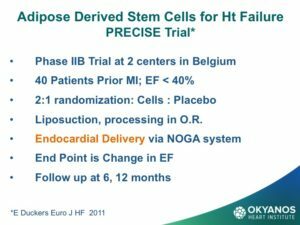 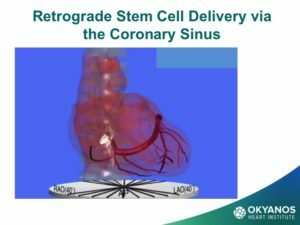 This amazing new potential source of stem cells for treating CV disease has been tested in Europe in both patients at the time of an acute MI as well as chronic ischemic heart failure with very encouraging results. 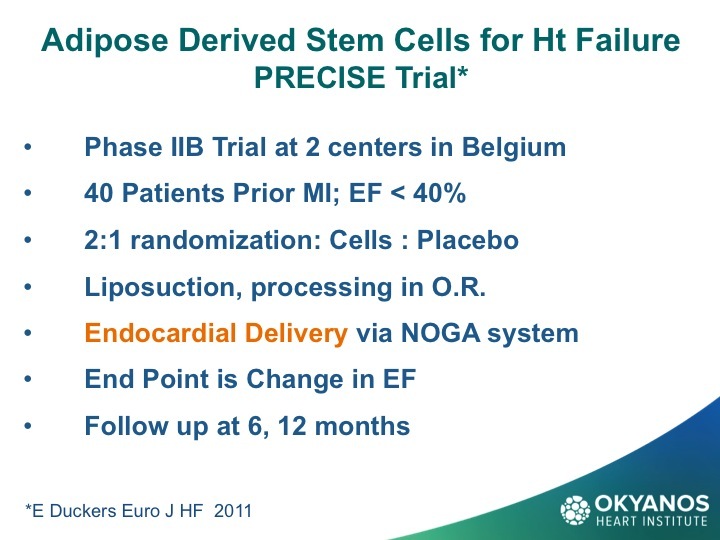 The heart failure (HF) trial, called PRECISE, showed improvements in exercise capacity of treated subjects compared to control subjects that extended over 18 months. The heart also showed reduction in size (end diastolic volume) and was very well tolerated. 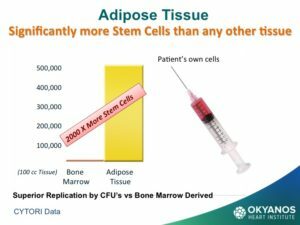 To obtain ADRCs for the trial,the patient undergoes a small liposuction from their abdominal fat, which is then processed via a proprietary method developed by the vendor of this technology, Cytori Therapeutics, which removes all fat cells, leaving a pedicle of large numbers of stem cells. These cells are then drawn up into syringes and injected directly into the wall of the ventricle as guided by echocardiography to assure safe wall thickness. 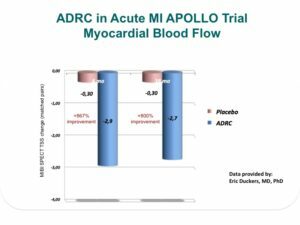 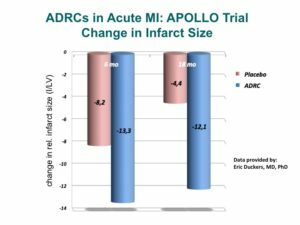 Given the encouraging results of the PRECISE trial, a study is now under way in the U.S., called ATHENA, in patients with chronic ischemic HF. 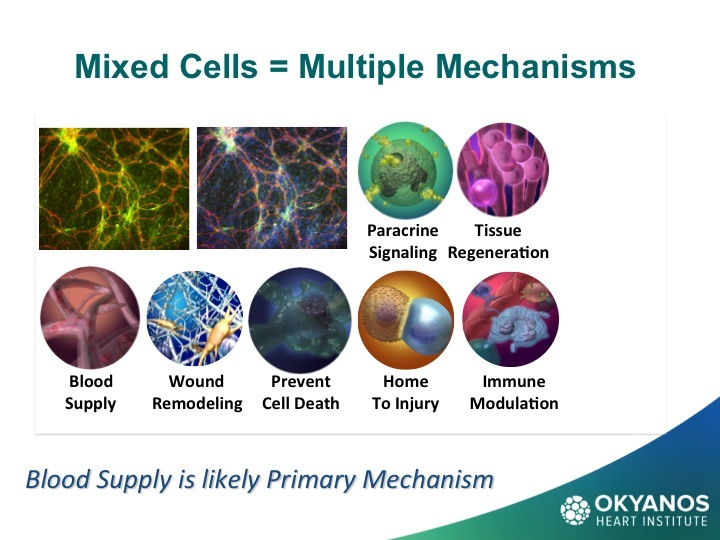 Because these cells are from the patient’s own tissue, there is no risk of rejection and there have been no adverse events related to the cells or delivery. 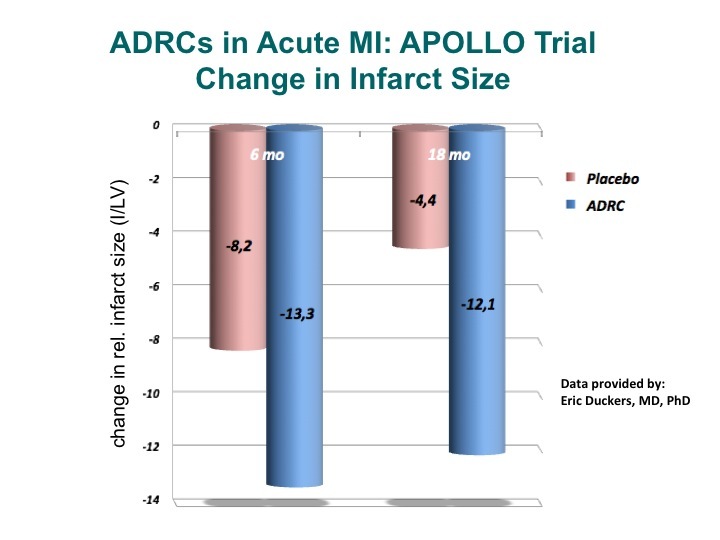 One of the most encouraging aspects of using ADRCs is that they have been used in many different indications including chronic limb ischemia to enhance blood vessel development, as well healing of all types of wounds, including non-healing arterial ulcers, burns, radiation, decubitus ulcers, as well as breast reconstruction, and more. 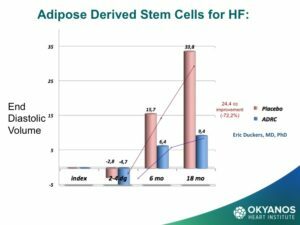 It is clear that adipose cells contain very important components of the body’s native repair mechanisms, and many more trials will be forthcoming in the near future.